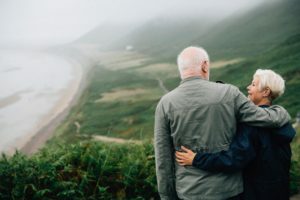 When you start developing your retirement strategy, no matter your age, it is essential to consider several key factors, especially if you have a complex financial portfolio. How much do you receive from each of them? What are your current financial expenses and liabilities? Are you maximizing your tax contributions, credits and deductions properly? Do you have the financial means to create more income streams? What does your debt portfolio currently look like? What type of lifestyle are you looking to have during retirement? What financial risk are you comfortable taking in order to grow your retirement portfolio? Retirement planning is a lifelong commitment! To be successful, you will need to take a proactive approach of budgeting, preserving and distributing your assets in a way that is most beneficial for you now and in the future. Properly handling all of these elements requires a trusted team of professionals. At White, Zuckerman, Warsavsky, Luna & Hunt, we are experienced in providing a range of accounting and financial planning services with the goal of enabling you to keep on top of your financial activities, as well as maximizing your financial resources. Our goal is your goal – helping you secure your financial future in your retirement. We invite you to contact us today to help you develop a retirement plan that is personalized to meet your specific needs. When you need more than an accountant…Get an EXPERT. Note: This information is general in nature and should not be construed as legal/financial/or tax advice. You should work with your attorney, financial or tax professional to determine what will work best for your situation.